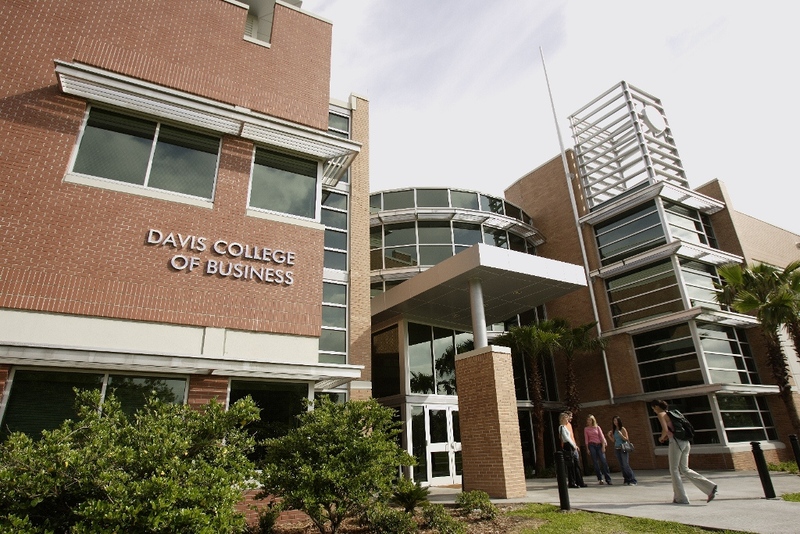 Thursday, May 31, Jacksonville University hosted the Jacksonville Business Journal (JBJ) 2018 Building on Veterans Panel Discussion in the Davis College of Business, with attendees from Jacksonville’s business and nonprofit sector, as well as JU students, faculty, and administration. Retired Brig. Gen. Michael Fleming, an esteemed member of JU’s military community, welcomed the audience and panel. Moderated by Espero BioPharma’s CEO, Quang Pham, the five panelists, from a variety of military backgrounds and careers, included The Honorable Aaron L. Bowman, Jacksonville City Councilman and Senior Vice President of Business Development of the JAXUSA Partnership; Ann-Marie Knight, FACHE Administrator at Mayo Clinic; Charles B. Jimerson, President of Jimerson and Cobb, P.A. ; Deloris M. Quaranta, Founder and Executive Director of Northeast Florida Women’s Veterans; and Howard Wanamaker, Chief Strategy Officer at Hanania Automotive. The afternoon discussion and interactive Q&A was one of many year-round events hosted by the University in support of veterans and military members. Events like this are also a part of the services provided to JU’s military community—active duty students, student veterans, Navy ROTC midshipmen, and military family members utilizing the GI Bill, as well as faculty and staff veterans—which currently numbers around 600. Quang Pham, retired U.S. Marine Captain and aviator, moderated the event whose major sponsor was Espero BioPharma, one of the fastest growing companies in Jacksonville. Pham is a published author, successful entrepreneur, and past JBJ Veteran of Influence. Pham is not alone in his Veterans of Influence distinction which is shared by panelists Knight (2016), Quaranta (2016), and Jimerson (2015). JU had its share of Veterans of Influence honorees as well, including Fleming (2014), Dr. Donnie Horner (2014), Capt. Matt Touhy (2014), and Dr. Quinton White (2016). “As a marine in this Navy town,” Pham said, “I feel a little like a fish out of water.” After a few jokes and ribbing of his fellow veterans from all military branches represented in the room that afternoon, Pham also acknowledged his wife, Shannon Ryan, JU Class of ‘87, and shared current statistics about Jacksonville’s military and veteran community. While 150,000 veterans currently reside in northeast Florida, 250,000 military members constantly undergo transition, through recruitment and retirement—all who eventually face entry back into civilian life. Among the many topics touched by the panel were gender issues, PTSD, VA operations and improvements, career transitions, and higher education. All six guest speakers earned college degrees or post-graduate degrees either during or after their military service. 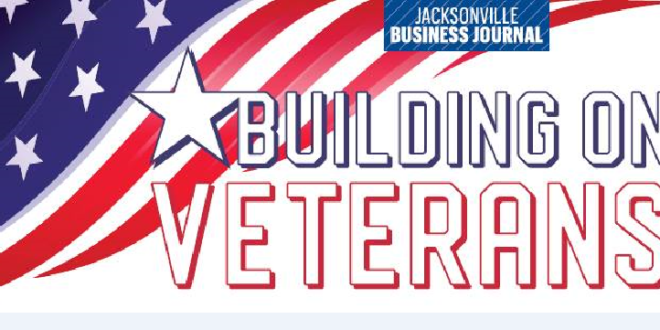 Bowman said, “Bringing business to Jacksonville is what I do, and I can tell you that everyone wants veterans.” The panel expressed that, whether a recent retired military member is transitioning to the college classroom or to corporate America, they are in high demand, citing work ethic as a top priority for Jacksonville employers. Someone who recently transitioned from active-duty to medical retirement and finally to college life, is JU’s own Sgt. Stephen Eager, a communications major who attended the JBJ event. Along with Moose, his golden retriever and constant companion, Eager registered to attend upon returning from a three-week study abroad program in Sorrento, Italy. His story, like many JU students and alumni with military connections, included a “discovering” of JU as one of the most veteran- and military-friendly universities in the U.S. For Eager, both Wounded Warrior and JU’s dedicated staff played significant roles in his selection of JU, as well as the University’s wide array of scholarships, tuition benefits, and other assistance programs. Building on Veterans event partners also included Operation New Uniform and PRI Productions. Visit JBJ online for information about related events. For more details on Jacksonville University’s veteran and military community and resources, visit www.ju.edu/military. Jacksonville University is a 100% Yellow Ribbon School. 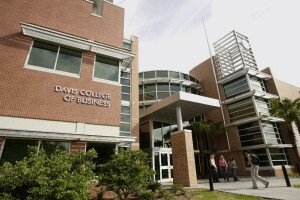 PHOTO CREDIT: Jacksonville University thanks the Jacksonville Business Journal.